Hotel Anand Bhawan was built by the Maharana of Mewar. Started as a guest house for Senior British and Indian officials and thereafter official residence of Prime Minister of Mewar. Now it is a state hotel welcoming indian and foreign tourists. It is a heritage hotel run by RTDC . This heritage hotel is located on a hilltop and shows a a majestic view of Udaipur and overlooks Fatehsagar' and Swaroop Sagar Lakes. Hotel Anand Bhawan offers well decorated and well furnished Super deluxe, deluxe, standard and economic rooms fitted with all modern facilities. Its restaurant offers Indian, Continental & Rajasthani (Veg. & Non Veg.) cuisine. Hotel Anand Bhawan also has a bar which serves Indian made Foreign Liquors, Wines, Beer. Hotel Anand Bhawan offers 6 super deluxe, 6 deluxe, 1 standard and 2 economic rooms which are well decorated and attached with all necessary facilities. It has a restaurant which serves Indian, Continental & Rajasthani cuisine and a bar which offers Indian, Rajasthani liquor and wine. 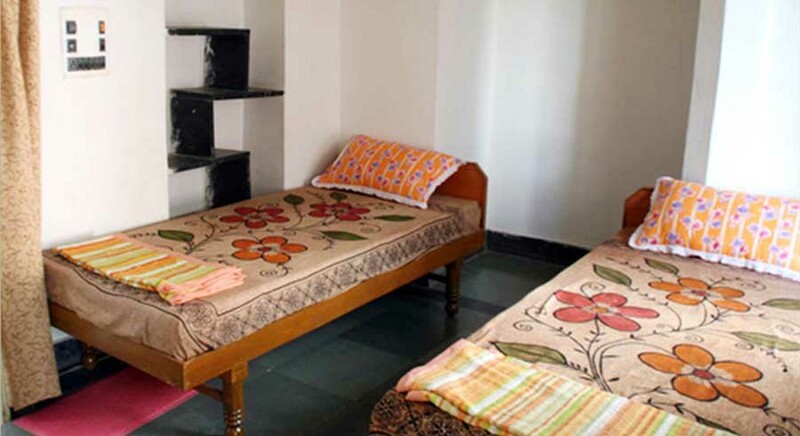 Facilities: Doctor on Call, Lush Green Garden, Internet, Email & STD Facility, Laundry & Dry-cleaning, Parking Facility, Dormitory for Drivers, Credit Cards Acceptance , Centrally Located on Hill , Sight Seeing & Package Tours, Bar. 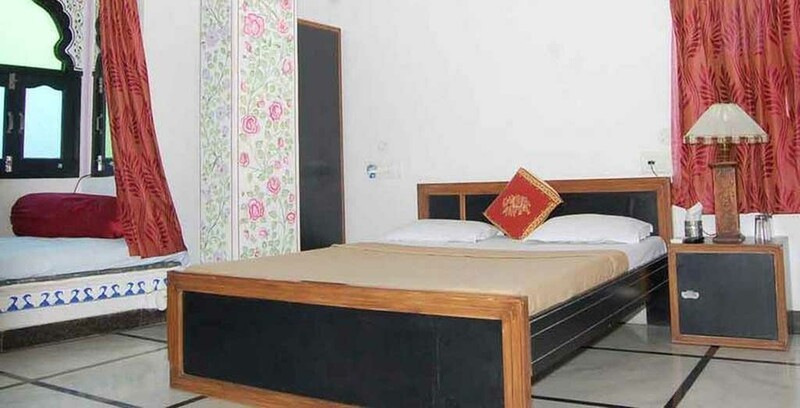 Hotel Anand Bhawan is located at a distance of 25 km from Udaipur Airport, 5 km from bus stand and 5 km from railway station.Udaipur has some tourists places to visit such as City Palace, Pichola Lake, Lake Palace, Fateh Sagar, Jag Mandir, City Palace Museum, Jagdish Temple, Saheliyon Ki Bari. I wish to stay with my family (4 adults and one 8yrs old kid) in Anand Bhawan Hotel of RTDC from 27.01.18 to 30.01.18 (3 nights) in a super deluxe room. Pl book two rooms and inform how the payment is to be made online. I wish to stay with my wife in Anand Bhawan Hotel of RTDC from 3.10.17 to 5.10 17 (3 nights) in a Standard room. Pl book the room and inform how the payment is to be made online. I wish to stay with my family (5 adult persons) in anand bhawan Udaipur from 5th -6th March 2017 in standard two double bed rooms please inform em at the earliest so as to book online and mentioned your online booking website. I wish to stay with my family (5 adult persons) in anand bhawan Udaipur from 6th -8th March 2017 in standard two double bed rooms please inform em at the earliest so as to book online and mentioned your online booking website. We are looking for accommodation in udaipur, arriving by air on 1 Jan 17,afternoon, we are three adults requiring single deluxe/super deluxe room for two days,.Pl reply at earliest. Dr ambuj Goel from MEERUT u.p. We are looking for accommodation for 3 nights, check-in on 26th March afternoon, and check out on 29th March morning….. Need a Super Deluxe Room….